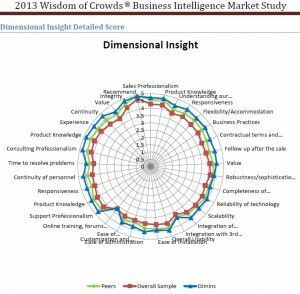 Howard Dresner’s renowned Wisdom of Crowds BI Market Studies have established Dresner Advisory Services as a leading authority in the dynamically changing fields of Business Intelligence and Performance Management. 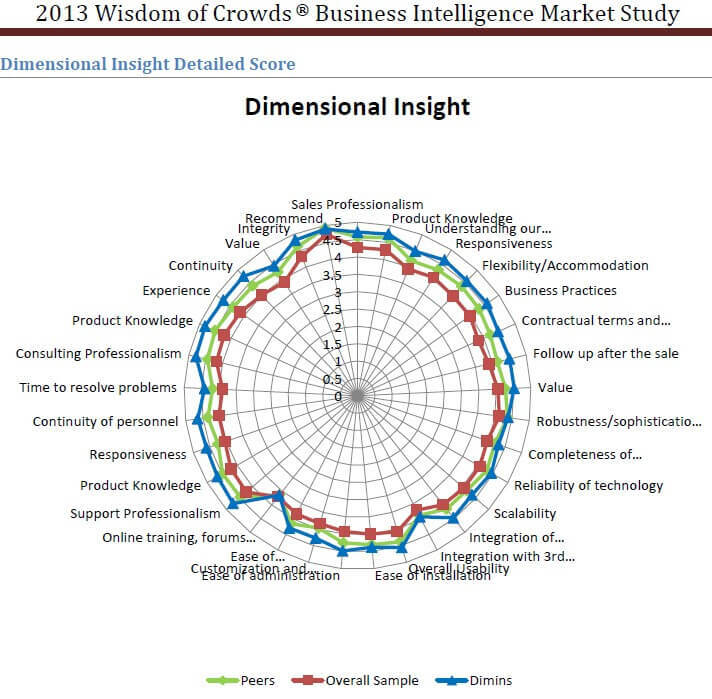 The study analyzes 17 business intelligence companies, their software, consulting and tech-support services. Consumers may use the study as an objective source of information on business intelligence solutions providers. In this recorded webinar, Howard Dresner, Chief Research Officer at Dresner Advisory Services, shares the unique methodology of his Wisdom of Crowds Studies. Mr. Dresner discusses trends such as the areas of greatest growth in BI utilization, key BI priorities, the importance of mobile and cloud-based implementations, and the degree to which BI users feel their implementations are successful. Mr. Dresner also discusses why Dimensional Insight had such positive results, not only this year, but in all three years of the survey, and answers questions from Dimensional Insight clients. Presented by Mike Cassettari, VP Marketing at Dimensional Insight, and Howard Dresner, Chief Research Officer at Dresner Advisory Services.